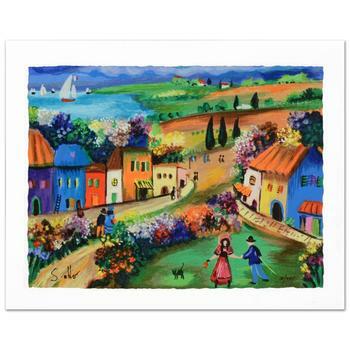 Shlomo Alter, "The Village" Limited Edition Serigraph, Hand Signed by the Artist Certificate. "The Village" is a limited edition serigraph on paper by Shlomo Alter, hand signed by the artist! Includes Certificate of Authenticity! Measures approx. 13" x 10" (with border), 11" x 8.5" (image). 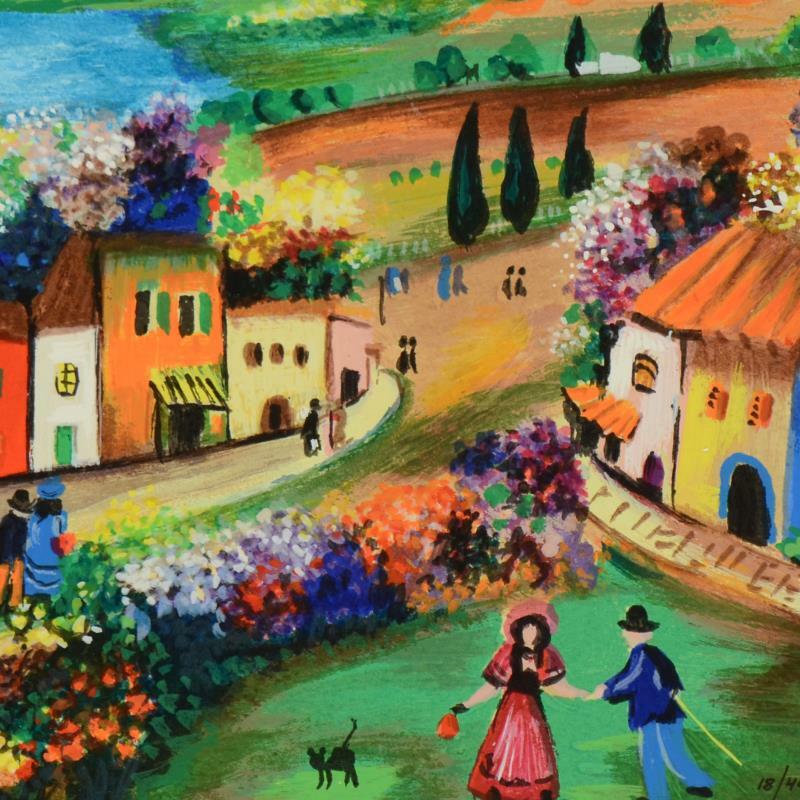 Shlomo Alter was born in Romania in 1936 to a family of restaurateurs. He was naturally gifted and from an early age, he showed a precocious ability to draw. 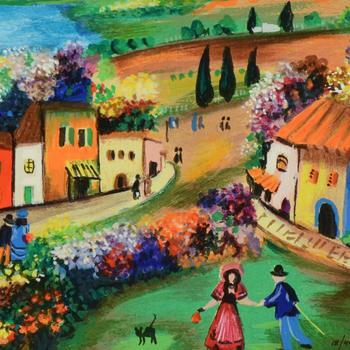 He came to Isreal in 1948 and during high school he started to study painting under the painter Aaron Avni. Two of his works in soft pastels took part in Unicef's World Touring Exhibition of young painters. During the sixties he was sporadically guided in painting by the world-renowned painter, Masel Yanko, also a family relative. In 1975, he decided to dedicate himself entirely to his artwork. Since then, he has held many one-person exhibitions and has taken part in numerous group exhibitions in galleries and museums throughout the USA, Canada, Europe and Isreal.